Thank you Ray and Sandy for giving us the opportunity to serve you and help you with your RV Dreams! 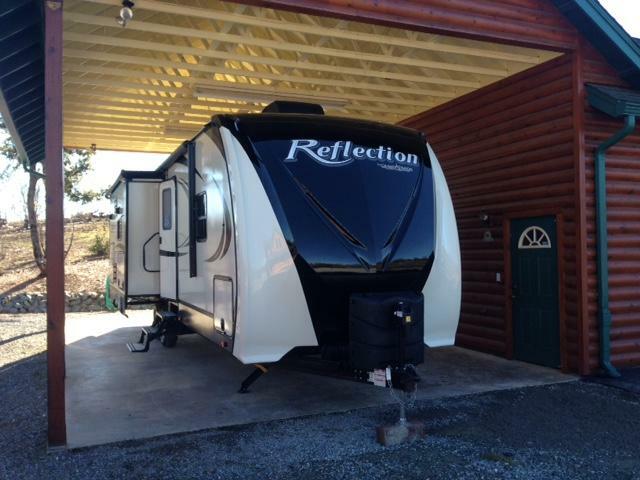 Cheers to many years camping in your new Reflection. It looks great in its new home! We placed an order on the 16fh for a new Grand Design Reflection unit. Our salesperson, Chris “Happy” Hepworth was a delight to work with. No pressure, and VERY patient with all of our questions. Sam Slaughter in Finance was professional and walked us thru the process that will take place upon delivery. We left feeling well taken care of. 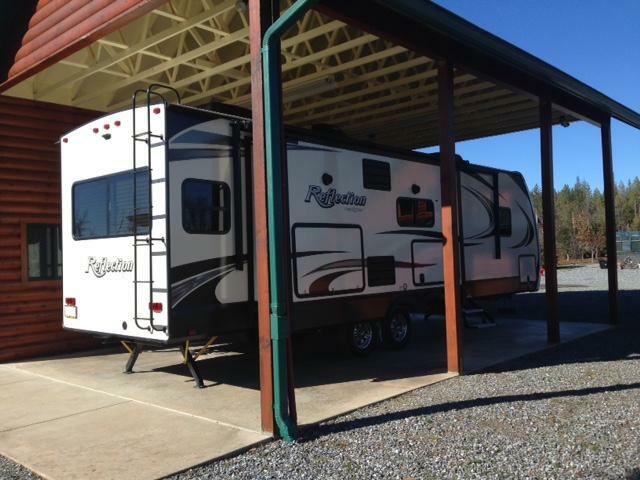 We have owned 2 new RV units. This will be our 3rd. Our first experience from sales to service was stellar and we were saddened to find that dealer no longer doing sales. Service Only. So we went to another sales organization and found their business practices to be an utter mess. It is because of them that we sold the unit within a few years of purchase. It was refreshing to be treated so well during the sale process by Chris and Sam, as well as acknowledged by Ralph Graves as we were leaving. Ralph confirmed he had all ready placed our build order with Grand Design. Nicely done, Gentlemen! Here’s hoping our pre-delivery inspection and actual PDI goes as smoothly, as well as our after sale interactions. So far — “Happy” campers here, in a “Daze” waiting for our new unit to arrive! UPDATE: After dealing with snow and having to reschedule our delivery several times, we finally got “her” home today. She’s all tucked away. Perfect fit! Thanks to Chris, Sam, Fred, and Richard for a great experience. Hi Fred, Sandy and I both want to thank you ALL again for the excellent customer service and making us not feel rushed EVER !!! You guys are great and do business like I was taught by my parents. Being a 4th generation nurseryman/landscaper you meet a lot of neat and strange people in my 38years of customer service but for me I also made a lot of great friends, thanks for making it fun. Check out the attached pic with our new trailer all tucked away for now. Happy Travels Ray and Sandy!